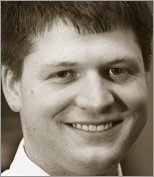 Van Lindberg is a software engineer and practicing attorney. What he does most, though, is translate - from "lawyer" to "engineer" and back. He likes working with both computer code and legal code to get things done. Before becoming a lawyer, Van was a research and development engineer at NTT/Verio, building automation tools and distributed systems, mostly in Python. He has been involved with open source since 1994, when a friend introduced him to Linux. Currently, Van works for Haynes and Boone, a law firm headquartered in Dallas. Van's work at Haynes and Boone touches both traditional intellectual property and the emerging field of open source law, where he advises businesses and open source groups on intellectual property issues. "So in summary, an excellent book. Van Lindberg has done an outstanding job of navigating a dry and complex subject in an engaging and precise manner. If you're a programmer, or involved in open source projects, you need to read it - thankfully you'll enjoy it." "...an excellent book. Van Lindberg has done an outstanding job of navigating a dry and complex subject in an engaging and precise manner. If you're a programmer, or involved in open source projects, you need to read it--thankfully you'll enjoy it." "...a valuable guide for anyone in the technical world who wishes to know about legal issues of intellectual property, and particularly for anyone in, or contemplating, an open source project." "I thoroughly enjoyed this book...I was convinced the author was someone I could relate to when in the chapter on trade secrets, he used the 'Flaming Moe' as one of his examples of trade secret calamities. " "There isn't a person writing code in this country who is not impacted by US intellectual property laws. I think that it is safe to say, that not all coders have a strong understanding of just what those laws are, let alone what they mean. Stepping into this gap is programmer become lawyer Van Lindberg with his new book Intellectual Property and Open Source. Lindberg has really done something special with this volume. I don't think I've ever read a tech oriented work where I've felt so convinced that I was reading something that would become a standard by which others would come to be judged." "No book could replace the advice of competent legal counsel, but reading Intellectual Property and Open Source from cover to cover will give the average free software developer a clear understanding of the legal terrain she will have to navigate as she creates, improves, or uses free software." "For anyone involved in creating an open-source project (or what they *think* an open source project should be), this should be essential reading. And if you've ever downloaded something from Sourceforge to include in one of your own projects, you also need to read this to clearly understand your rights and obligations. " "This is well written, clear, and very complete. Highly recommended." "...As open-source software becomes mainstream, and is integrated into larger systems, these age-old arguments are less theoretical than ever, and should be understood not only by developers, but also by managers and executives of organizations working with open source. Van Lindberg's new book is an excellent place to start..."
"I'd suggest you read this book. It truly is the best thing written about open source since Eric Raymond's "The Cathedral and the Bazaar."" "Clear, correct, and deep, this is a welcome addition to discussions of law and computing for anyone -- even lawyers! "